LIF 079 - Peak Performance Strategy #2 - Where Are You? 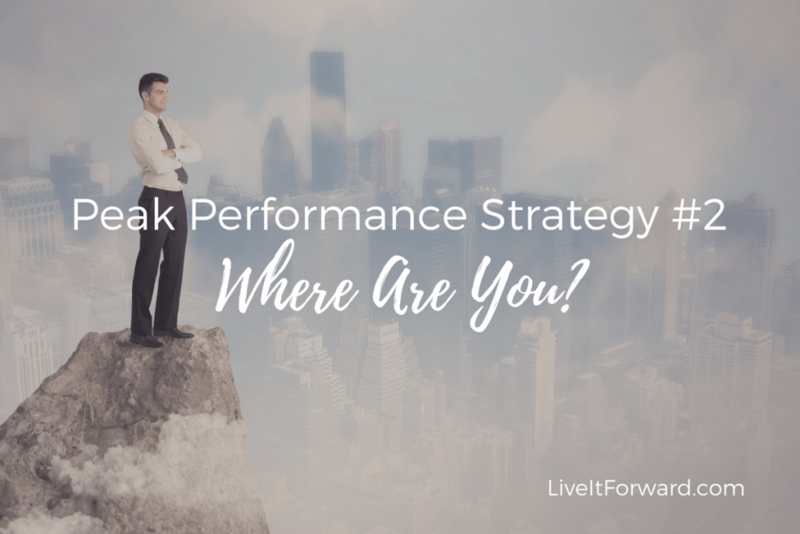 Peak Performance Strategy #2 – Where Are You? A good definition of Peak Performance is being present and fully engaged in the moment. So, where are you today? Present and engaged? Or trying to just survive? Today we continue our new series, Peak Performance Strategies. In episode 079 of The Live It Forward Show, you’ll learn 3 strategies on being present and fully engaged. Peak Performance Strategy #1 — What’s The Point? 3. Review Last Week — What’s the point of Peak Performance for you?